A small but growing number of businesses are opting not to accept cash at all. It's a small but increasing trend — businesses opting not to accept cash. "We haven't heard of it a ton, it's not happening a lot, but it's certainly happening," said Brynn Winegard, a retail and marketing expert. "I've heard of it happening in boutiques in malls, as an example, or independent retailers," she says. 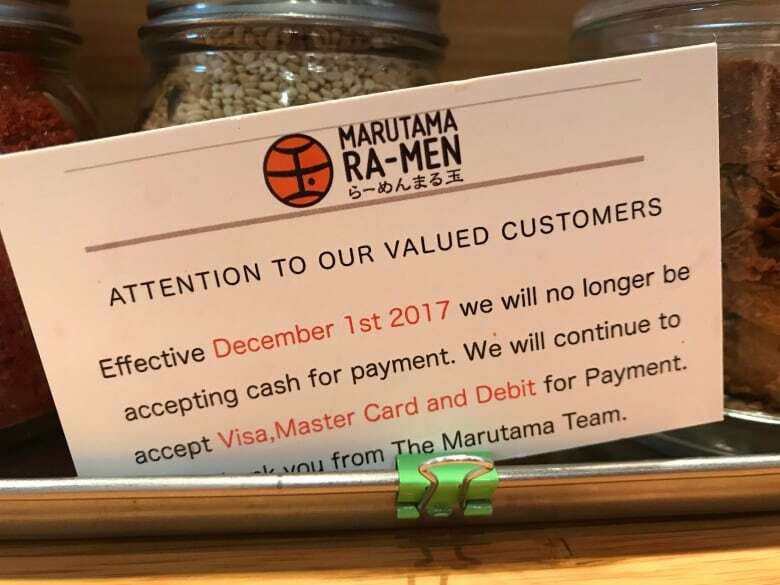 This past week, a downtown Vancouver ramen restaurant location joined the trend, soon, too, will Bell Aliant, a communications provider in Atlantic Canada. When Ontario salad company Mad Radish opened recently, it also chose to forego cash. Winegard says cashless systems make it easier to keep track of accounts, especially for small businesses. "A lot of retailers are looking for an opportunity to do perfect accounting," Winegard said. "It's a lot easier, often, when it's all electronic as opposed to when it's also in cash and then also electronic." 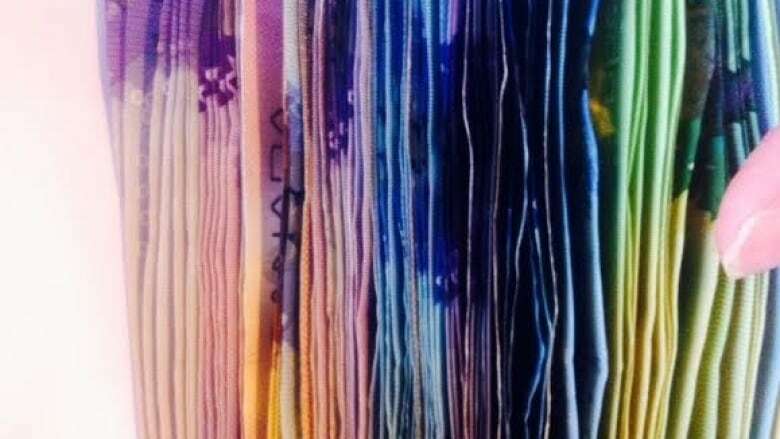 Even though it is legal currency, the Bank of Canada says it is not mandatory for Canadian businesses to accept cash. According to the Bank of Canada, retailers don't have to take bills or coins "because both parties must agree on the payment method." And although just over half of all purchases in the country are still made in cash, the evidence that Canadians are moving away from physical money is mounting as digital systems — not just credit cards and debit cards, but smart phone payment technology as well — are more widespread and easy to use. Winegard says it's mostly consumers driving the change. "The trend is toward a digital, paperless world in general, just in everything," she said. "As consumers get more comfortable, more trusting with their technology ... there's a lot more likelihood that you're going to see less and less cash." But as Canadians move toward digital-only transactions, there are some concerns to be aware of. 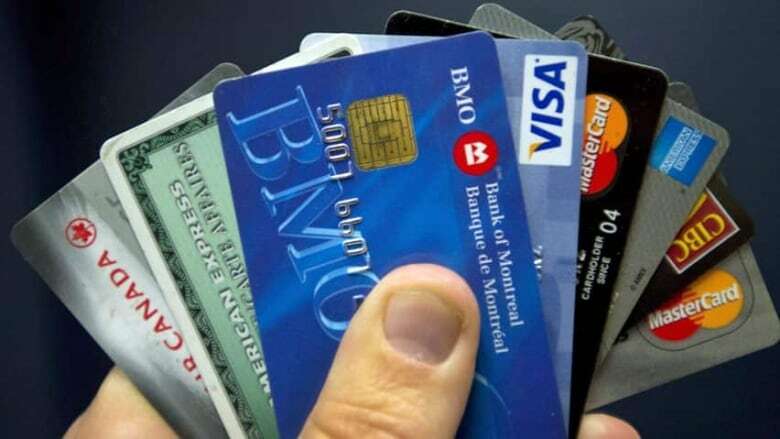 Scott Hannah, the president of the Credit Counselling Society, says budgeting seems to be more difficult without paper money to guide your spending: with cash, once it's gone, it's gone. "Sometimes it's easier to stop and really feel the impact of the purchases you're making with cash as opposed to other forms of payment," Hannah said. "With credit cards, even with ATM cards, there isn't the same impact of pulling out your credit card as there is taking bills out of your wallet to pay for goods and services." Privacy is another potential issue: if all your purchases are made through a card or online, they can all be tracked. "There's an awful lot of information that's going around in terms of what we buy and how we buy it," said Hannah. "Certainly I think that's something that our governments are going to need to look at. We have a right to privacy in Canada. And I suspect that's some of the motivation behind some of the purchases we make with cash." Hannah also says the move to cashless transactions increases the risk of fraud, since it's easy for someone to gain access to your credit information. "It's in everyone's best interest that at least on an annual basis you should be accessing your credit report to make sure that the information on there is accurate," he said. Still, having said all of that, Hannah himself uses his credit card almost exclusively, saying it's a great way to see exactly where your money's going, as long as you pay attention and pay off the balance every month.